Prices shown are 25% off - Why pay retail? Youth small 40-60 lbs., Youth med 60-75 lbs., Youth Large 75-95 lbs. Adult XS 90-110 lbs., Adult Small 115-135 lbs., Adult Med 135-155 lbs., Adult Large 155-180 lbs., Adult XL 180-220 lbs., Adult XXL 220-250 lbs., Adult XXXL 250 lbs. Minimum quantity 6 pieces per style & color scheme. 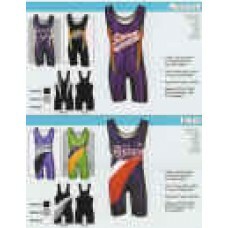 Price includes sublimation of name, logo, front & back number, development and application of artwork, any number of colors. Please allow 3-4 weeks production time after approval of artwork. No artwork or screen charges.